You remember Phonesaber? 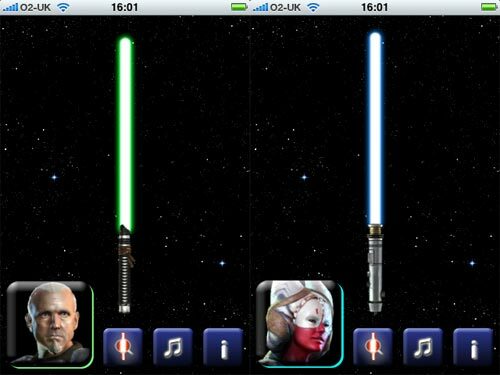 The cool iPhone App, that was pulled from the App store, well the new version is now available as the Lightsaber Unleashed. 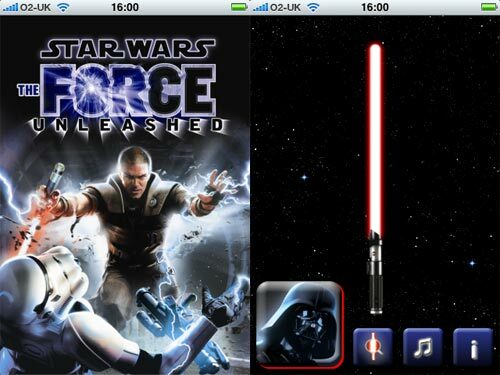 Developed by TheMacBox, in conjunction with THQ Wireless, the new App is themed along the latest Star Wars game, the Force Unleashed. So what’s different in the new version? well there are now 5 characters to choose from, Darth Vader, General Rahm Kota, The Apprentice, Shaak Ti and Maris Brood. As well as these new characters there are some cool sound effects, on the lightsaber screen you will see stars shining in the background, click on them and the character will speak. 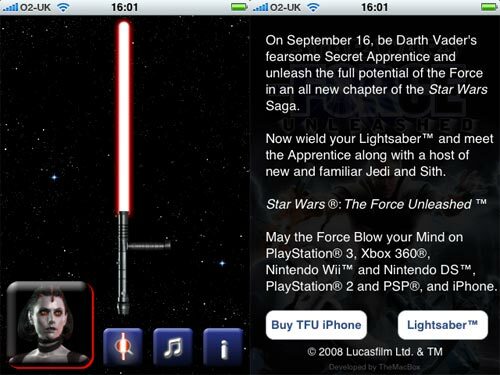 Of course there is the obvious advertising of the Force Unleashed game for the iPhone with a direct purchase link, apart from that its a fun app, and great because it’s free. Here is a link to download it straight into iTunes.